Quite a few people have asked for a way to remember these without having to dig through the book. 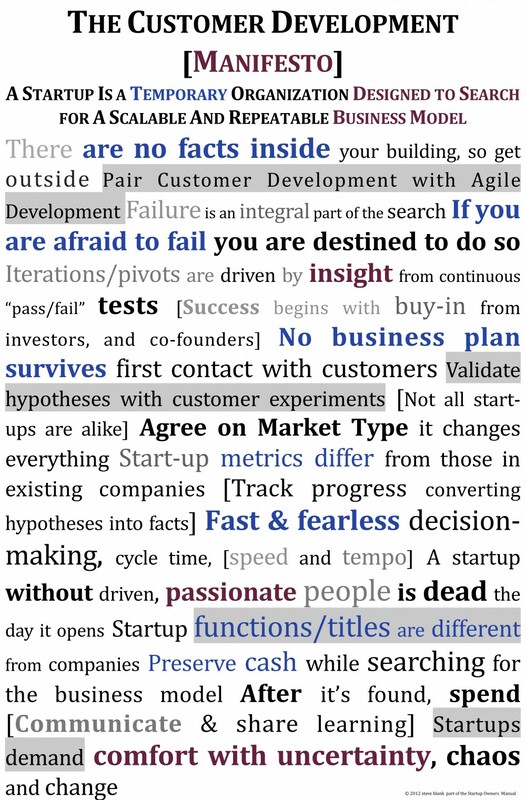 So by popular demand, here’s a poster of the Customer Development Manifesto. You can order a copy here. Nail it to your wall.